Joseph P. Reagle, B.S., C.P.O. 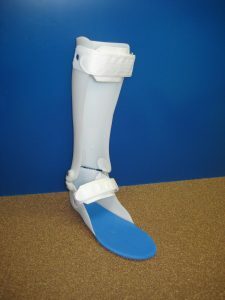 The skill required to make a custom orthotic device requires a proper casting technique. The cast is filled with plaster and stripped and is then modified to achieve a fit that is in contact with the skin but does not put any pressure on boney prominences. The brace should be able to move and function as desired. We expect to achieve this outcome with each patient we provide care for.